Facebook has announced the face recognition feature on its platform back in December. Now, this new tool is rolling out for users across the world. 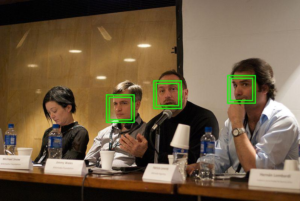 Essentially, the Facebook face detection system is a technology which identifies human face visually. Earlier, the same technology was employed in Facebook which notifies friend suggestion and tag suggestions by recognizing faces. The social media giant has also declared that this face recognition is an optional tool. The company has said that this Facebook face detection will be touted globally excluding Canada and Europe. While the optional tool is available in many countries now, users are getting suggestions regarding this new feature. The California-based giant says that Facebook face detection tool helps to reduce the misuse of images. This new feature in Facebook notifies the user if any other user uploads their image as a profile photo. Also, it helps users to notice the person in the picture along with the existing ‘automatic alt-text’ feature. On the other hand, it also informs the user if anybody uses their image without permission or upload their images to impersonate them. Thought it is a good move from Facebook, it has the other side too. As the leading social platform updates its feature regularly, it is unclear that how long feature remains opt-in. Conversely, Facebook could activate it for all users with just a few lines of code. Users can simply stop the new face recognition bothering them by turning it off. Here are the steps to disable Face Detection feature on Facebook. Surprisingly, the feature already on for many, While the social networking giant says that it isn’t opting everyone in. The settings will only appear as an option if you’re at least 18 years old and the feature is available on your profile. Taking the 2 billion active users into account, Facebook stands as the largest online database to put face reorganization. What bothers is the thing that Facebook will carry its technology to its other platforms like Instagram and WhatsApp. Though the feature will work on the privacy settings by the uploader, users can be connected to strangers unintentionally. Just like you may get involved if there is a random stranger in the photo uploaded by you. However, it is quite possible to get strangers in the frame if you capture an image in public places. Facebook’s algorithms will notify the person even if you don’t know them personally. Then again, this may also lead to getting a friend request from the strangers who got into your frame by mistake. Earlier, Class-action lawsuits were filed against tech companies who collected the biometric data collection. Now, even Facebook has allegedly violated the policy of maintaining individual biometric privacy. However, it is too early to predict the effects of this Facebook face detection feature. Yet, the social platform is better known for safeguarding the user data and privacy.